I don’t watch a whole lot of TV (although that new Simon Amstell sitcom is quite good – amirite? amirite?) 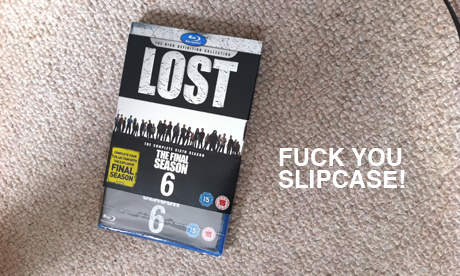 so it’s rare that I get too obsessed with a particular series. Of the various drama box sets I’ve struggled through, only three have really kept me up all night and they are Twin Peaks, Lost and (groan) The Wire. 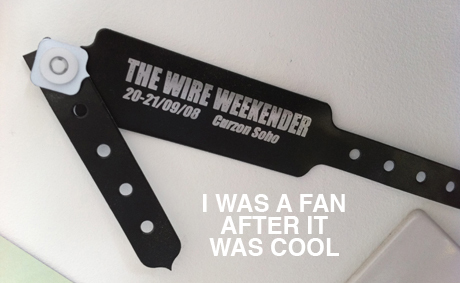 A couple of years ago, I went to an event at the Curzon Soho called ‘The Wire Weekender’. Basically it was 400 Guardian journalists in a room watching the disappointing fifth season of the popular police drama – in its entirety – across a weekend. There were also Q&As and stuff with the guy who created the show and some of the cast (McNulty FTW). Lost will presumably be shown from Blu-ray but inevitably the Twin Peaks Weekender will be a DVD job. Still, 30 episodes is easier than 121 whichever way you look at it. Even if at least 8 of them are a bit crap. Why won’t you let me throw you away?